This league is currently in progress and is scheduled to end on December 15, 2016. This is an unofficial BAPA mini-league that runs between regular BAPA league and BAPA playoffs. We invite both BAPA and non-BAPA players for group match play. The format is group match play using https://matchplay.events/live/series/151 for five rounds per night out of a total of four nights. The accumulated points after the last night determines the results based on IFPA scoring per match (1st: 7, 2nd: 5, 3rd: 3, 4th: 1). This is a coin-up tournament with no cash-outs, prizes or trophies of any kind. We'll use automatic tie-breakers based on win-loss ratio to establish final ranking, there will be a tie-breaker for position 1 to 4 on the last night that will be on a random drawn machine playing a single best of three match. Official PAPA rulings will be enforced: http://papa.org/papa-…/official-rules/complete-papa-ruleset/ (section VI and onward) with local BAPA regulations for player conduct. This means you have to be eligible to play in BAPA regular league to participate. Everyone is eligible to play in BAPA unless you've been banned from the league. 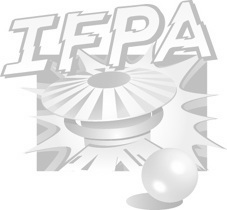 The league is on the IFPA calendar and is eligible for WPPR points: (TBD) WPPRs will be calculated based on the league season final standings as there is no playoffs for this "express" format. We plunge at 8pm, registration closes minutes before. The Silver Creek Sportsplex (http://www.gotoplex.com/) is open from 9:30am in the morning for practice. Enter through the main entrance and make a left, you should see a row of beautiful and well maintained pinball machines lined up by year of manufacture (except HS II and T2, which is in the wrong order). If you're late, don't despair, you will be able to join the next round upon arrival. Additional note: Practice is allowed between matches, but be prepared to forfeit your game immediately when the next round starts.